Oh. Snap. 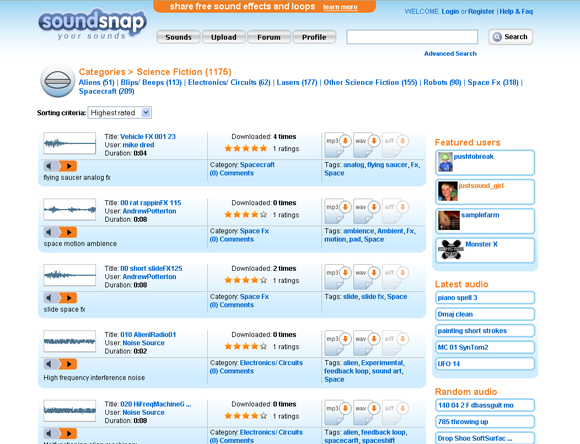 Soundsnap, that is — a community site with tens of thousands of free sound samples, ready to use in your project. People can be annoying. I imagine some of you really don’t like people much, and I hear you. If you do like people, though, and whole communities of them, you may have noticed that countless websites are now marketed around the ability to interact with people and share stuff with them. Thankfully, some of these communities have actual, practical uses, like sharing free sound samples. Soundsnap.com is a new project that promises to be the “YouTube of sounds.” I assume this means sounds of a skateboarding pup will become wildly popular, “lonely girl” rebecca will turn out to be fictional, and the whole thing will get bought out by Google. Okay, scratch that. The real point is that this library of 30,000 sounds and growing will provide another resource for finding samples. Creator Tasos Frantzolas is a sound designer and producer from Greece who says he wanted just such a service for himself. The angle here is “high-quality” sounds, categorized by use, with everything from music loops to sound effects. That contrasts with the more free-form efforts we’ve seen elsewhere. 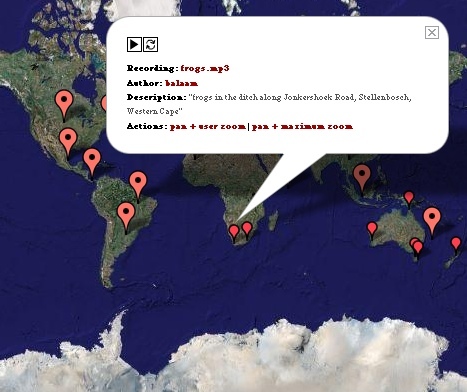 The Freesound Project includes some features of its own, including remix trees of files collaboratively remixed by users, and geotagged samples, for when you want to feature South African frogs. Someone with legal experience with Creative Commons might be able to comment on other advantages or disadvantages, but I could see the services coexisting. To the end user, the bottom line is they can share sounds they’ve worked on for use by others, while gaining access to new resources for free sounds. The major difference here may be the different tone of these sites, and distinct feature sets. Having a growing number of free sample sites could help the idea gain popularity.